Soap-making-based products are soft and delicate to fabrics and skin, and also work efficiently with dirt. So they are especially recommended for washing the clothes of people with very sensitive skin, including babies. There is no better option if these products are also ecological and contain plant ingredients. 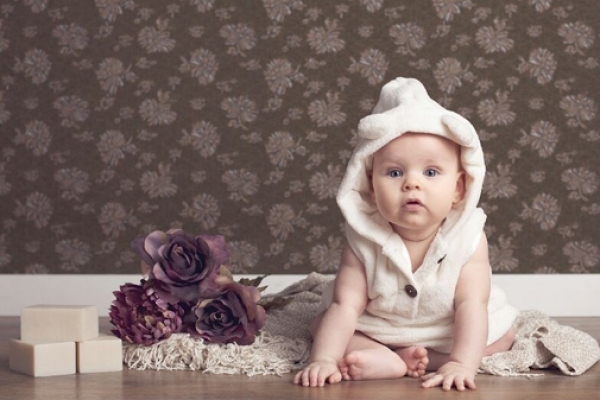 bioBel Babies is a product range designed to clean and care for your baby’s clothes. Its careful formulation, based on coconut oil, glycerine and aloe vera extracts, efficiently and naturally cleans fabrics without having to resort to fabric conditioners. WHY IS HOW WE WASH CLOTHES IMPORTANT FOR SKIN HEALTH? Caring for your baby’s clothes is just as important as caring for your baby’s skin as these clothes are in contact with skin for several hours. Using ecological soap products helps prevent and avoid allergies and dermatitis. If they appear, using ecological soap with coconut oil notably helps control and improve these problems. In general terms, some product always remains on fabrics no matter how well clothes are rinsed. This is why the product we use is so important for such waste to remain at a minimum, and is never aggressive and irritating to skin. The composition of many conventional products, even if they are intended for babies, contain some petrochemical detergent or ingredient, which may be good for cleaning, but is very aggressive. We can often find built-in fabric conditioners or synthetic perfumes with a pleasant fragrance, but the end result is to unnecessarily fill our clothing with chemical substances and/or allergens. The same can be said of fabric conditioners, the polluting product par excellence, which are poorly recommended in general, especially for sensitive skin. Using such conditioners is unnecessary with any bioBel soap product because, thanks to its natural soap-making ingredients, your clothes are naturally soft and fluffy. bioBel Bebés products contain no perfume, which helps cut down on unnecessary ingredients for products to be efficient and care for health and the environment. 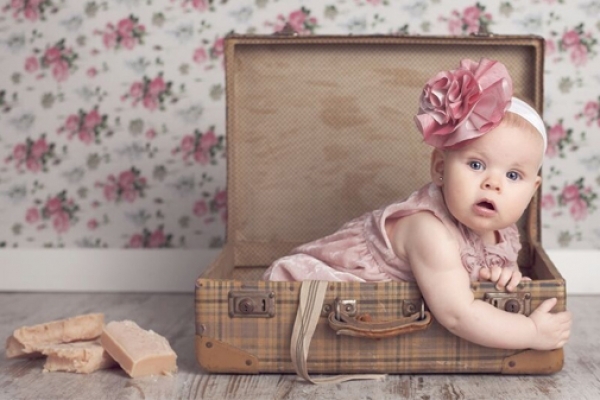 Why perfume baby clothes when there is not better fragrance than a baby’s! 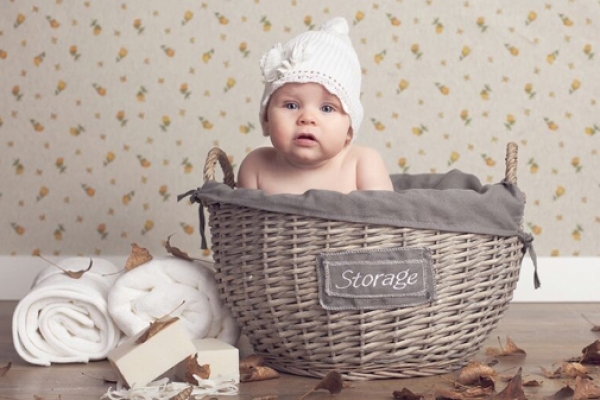 WHAT ECOLOGICAL PRODUCTS CAN I USE FOR MY BABY? * Liquid bioBel Bebés soap for machine or hand washing baby clothes, towels, bedding, cloth nappies, teddy bears, and any home textiles. * A bar of bioBel coconut soap to wash delicate fabrics. This is the quickest, most traditional and most careful solution. * bioBel stain remover for specific well-located stains. Thanks to is spray application, it can be sprayed directly onto the area to be treated, and the item can then be machine-washed. * bioBel brightener for white or very dirty clothes. It is sodium percarbonate, which softens stains and favours the brightness of white clothes. It can be used as a pretreatment or can be placed directly inside the washing machine to reinforce the soap/detergent being used. HEALTHY PRODUCTS ONLY FOR BABIES? Similarly to an ecological product for babies caring for and protecting health as opposed to chemical products, it is also recommendable and healthy for all family members to use ecological products for washing clothes and cleaning the home. A home with ecological cleaning products is a healthier home. There is also a bioBel detergent for all types of clothes, a stain remover and a soap for delicate fabrics, which can also be used in washing machines without having to resort to fabric conditioner. These products are perfumed with essential oils, and their aroma is completely natural. Remember babies also spend many hours sat on your knee and come into contact with your clothes. To complement our range, we also offer domestic cleaning products: washing-up liquids, window cleaning products and a multipurpose cleaner. Only three references that keep our homes clean and healthy. Keeping a minimum number of ecological products is just as important, if not more so, than using them. In the bioBel Ecological Product/Cleaning section you can find more details about this product line, the Ecocert seal and each product reference with its different formats. CAN I ALSO USE BIOBEL BEBÉS FOR CLOTH NAPPIES? Of course you can! After a few tests, nappie experts confirmed that bioBel Bebés was not only effective for washing baby clothes in general, but also for washing cloth nappies. It thoroughly cleans, is easy to rinse, does not waterproof nappies and eliminates smells. Despite being produced with coconut oil, it entails no danger of waterproofing fabrics, as is often stated. There is an easy explanation for this. In conventional soap manufacturing, a chemical reaction known as saponification takes place, which no longer renders the ingredients used to produce soap (oil, among others) individual. This chemical reaction transforms them into a single product: soap. So although its composition contains oil, the end product does not make fabrics waterproof, nor does it leaves them oily or dirty. Quite the opposite in fact. * Before using cloth nappies for the first time, wash them 2 or 3 times to completely remove any chemical substances left from the production process. This avoids irritable sensitive baby skin and fabrics absorb better. * Always read the washing instructions of the nappies’ manufacturer. * Use a natural perfume-free product to wash them that rinses well and contains no aggressive ingredients with fabrics or on a baby’s skin. * Use hot water to wash cloth nappies and try washing with half the recommended dose. If the washing results are optimum, they will rise better and save washing products. * Do not use fabric conditioner because it limits absorbance, causes leaks and can irritate your baby’s bottom. * Do not use bleach or chlorine. Natural sodium percarbonate-based brighteners are recommended to whiten fabrics; they reinforce the action of soap and can also be used as a pretreatment to easily remove stains, and to confer fabrics whiteness and brightness. * It is always better to dry in sunlight. Ultraviolet rays are a natural brightener and also eliminate any bacteria that remain on cloth. If you use a drier, do so at a low temperature. *Nappies should simply not smell – and should not smell pleasantly or badly. If they smell badly after being washed it is because: nappies have not been well rinsed, or too much inappropriate detergent has been used (with too many additives, perfumes, etc.). Wash nappies again at a high temperature and with an extra rinse with cold water. Make sure nappies are completely dry and well-aired before storing them to avoid humidity. If shortly after your baby wears them they smell of ammonia, there could well be soap remains in them, which make urine decompose more quickly than usual. Wash them again at a high temperature and with an extra rinse with cold water. *It is worth doing a wash just for nappies, and to not wash more than around 12 in one wash to not overwork the washing machine and to lose washing efficacy, especially while they are rinsed. If nappies are sealed by Velcro, it is worthwhile ensuring they are well sealed to not spoil other fabrics. For hygienic reasons, nappies and other absorbable fabrics must be washed no longer than 2 days after being used.